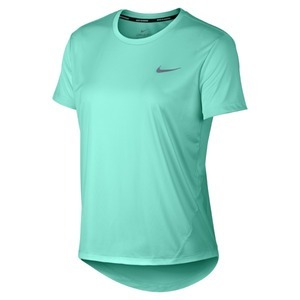 Kick your run into high gear with the Nike Miler Top. Sweat-wicking fabric with zoned mesh helps keep you cool. The extended back hem delivers comfortable coverage as you crush your miles. Mesh at the back provides targeted breathability. Longer back hem keeps you covered.